I LOVE cookies! Who doesn’t?! These are one of the best cookies I think I have ever had. They are not your typical sugar cookie and have a little bit of a cake texture to them. Well worth making them homemade though! When I was searching through cookie recipes to make my cookies this year, I came across this one for White Velvet Sugar Cookies that I found over at Mel’s Kitchen Cafe. It looked different, sounded yummy, and I knew I would make it! I followed her recipe to a T including the amount of flour added. The dough came out the right consistency and I separated it in to three batches to put in the refrigerator. I let it stay in the fridge most of the day. When I would take out a batch to work on it, I would separate it even more and work in small batches. Make sure you have plenty of flour on hand, because it does stick. I was also only about to roll it out two good times before it would be too soft to work with and I would place it aside to go back in the fridge to firm up some more. 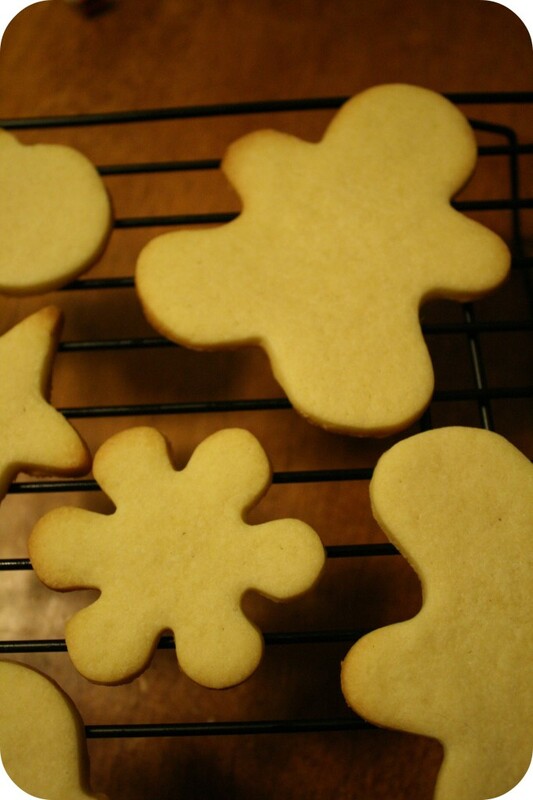 When placing your cookies on the baking sheet, you don’t have to space them to far apart as these do not spread. I also found my oven was a bit uneven so some browned more on the bottom than I would like. One final note, these cookies are a bit softer after they bake so they tend to break easily if you are using intricate shapes but it was well worth it! I had several break that I had stored in a container overnight just from the weight of the cookies on top of them. So, I would store in a single row and flat. I also found the icing was a bit soft so after I decorated the cookies, I put them on a sheet and stuck them in the freezer for a bit to harden the icing and then presented them on a plate for guest. 1. Cream the butter and cream cheese for approximately 2 minutes until light and fluffy. 2. Add in the sugar, egg yolks, and vanilla and mix thoroughly. 3. Gradually add in the flour and mix until it is all incorporated. 4. 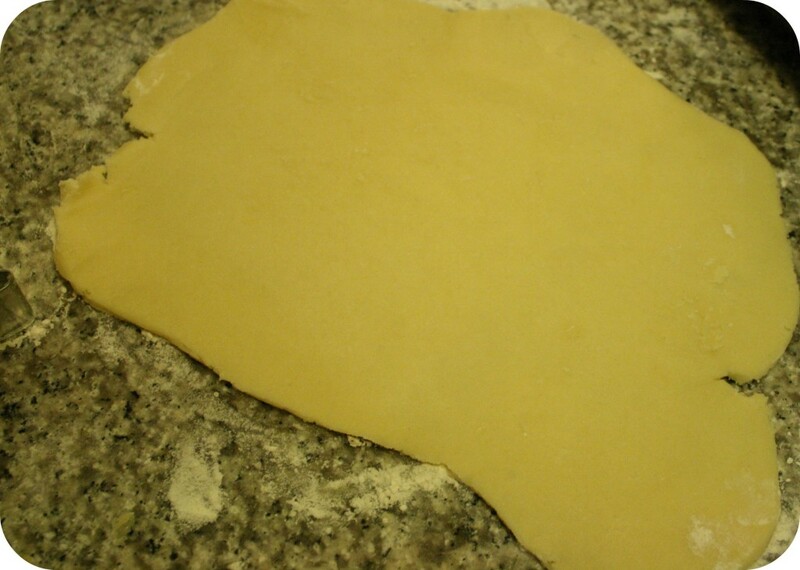 Separate the dough in to batches and wrap in plastic wrap. Place in the fridge for a minimum of 2 hours. I left mine in for about 5 hours. 5. 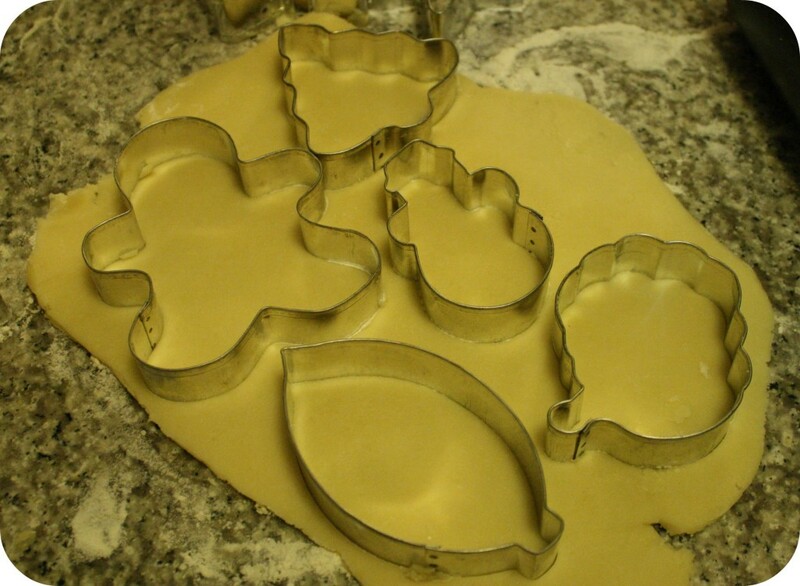 Working in batches, roll out your dough on a floured surface and cut your cookies. 6. Place them on a baking sheet lined with parchment paper and bake at 350˚ for 10 to 12 minutes, just until set and before they brown. Let cool for 5 minutes and then remove to a wire rack to cool completely before icing. 1. Combine the cream cheese, sugar, salt, and vanilla. Beat until light and fluffy. 2. In a separate bowl, beat the whipped cream until stiff peaks form. I put my beaters in the freezer and used a chilled metal bowl to help with this process. 3. Gently fold the whipped cream mixture in to the rest of the icing ingredients. Incorporate well but be gentle so the whipped cream doesn’t deflate. 4. Add coloring if you want something other than white. If using liquid coloring, you might need to add some additional powdered sugar if the consistency starts to thin out. Those cookies are pretty enough to use for decor! (And then to eat afterwards, of course!) I think I’ll have to make these with the kids next year. Thank you!